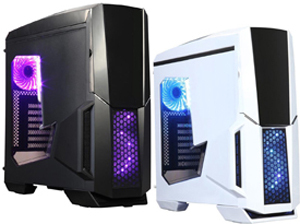 The DIYPC Gamemax Series RGB Full-tower Computer Case embodies the harmonious marriage of aesthetics and functional designs, ideal for any hard-core gamers and DIY enthusiasts. 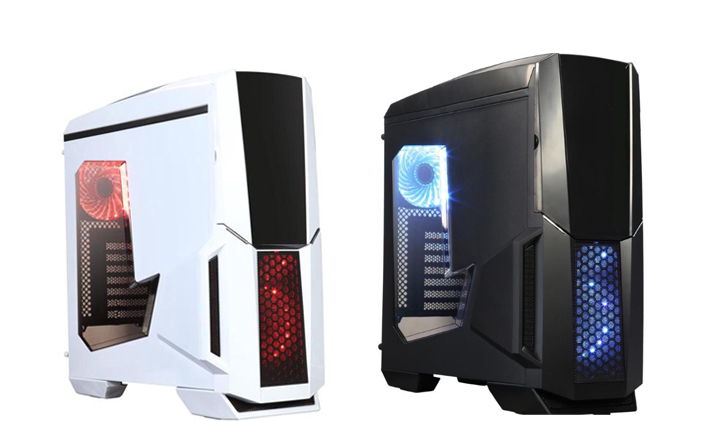 It’s available in two finishes: White (Gamemax-W-RGB) and Black (Gamemax-BK-RGB). 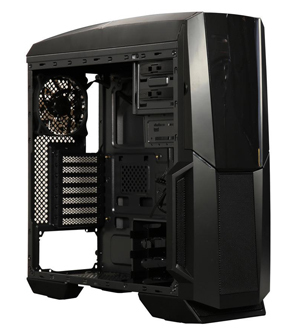 With roomy interior space, the full-tower computer case gives you great flexibility to build your system. In addition to support for a micro ATX, ATX or Mini-ITX motherboard, it can accommodate graphics cards of up to 392mm in length and CPU cooler of up to 160mm in height. 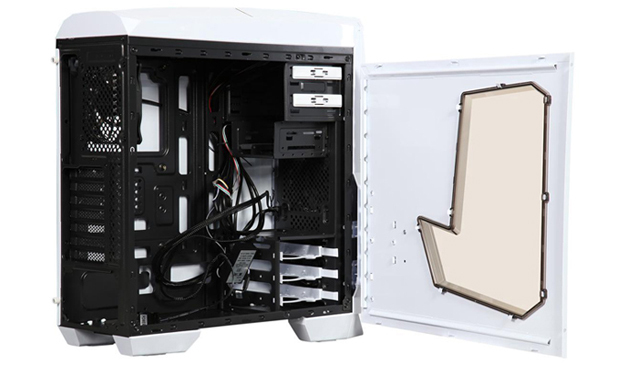 The computer case provides multiple drive bays to install your HDDs/SSDs and has a total of seven expansion slots, offering the perfect level of expandability you desire. Up to seven expansion slots provide flexibility for multiple graphics cards solutions. Screw-less/tool-free design for drive bays makes assembly, upgrade and maintenance quicker and easier. 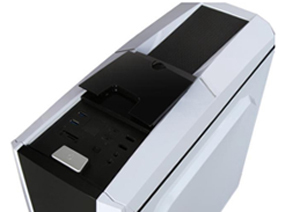 With the ability to support up to four fans (three fans included), the computer case can produce voluminous airflow to cool down even the most extreme system. With support for liquid cooling system, you can choose to cool down your hottest components – the GPU and CPU, with liquid coolers (sold separately). 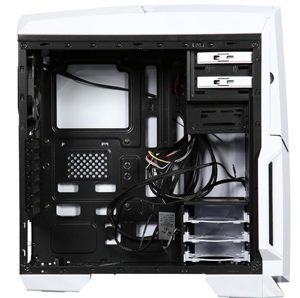 The computer case can accommodate up to 240mm water cooling radiator on the top panel. The pre-installed RGB LED fans not only produce voluminous airflow but also create eye-catching, dynamic lighting effect, making your gaming rig shine and enhancing the overall appearance of your system. The included RGB fan controller lets you choreograph an impressive spectrum of effects to create a beautiful, personalized look for your system. The transparent side panel window offers optimal visualization while the system is running. You can see your components bathe in the fantastic RGB LED lighting. The top mounted I/O panel offers two USB 3.0 ports for blazing-fast data transfer speeds, two USB 2.0 ports, and HD audio in/out jacks. The advanced cable management design helps manage cables in your chassis to create a neat inner look and promote enhanced, smooth airflow. The removable dust filter keeps your computer clean and protected from dust.